Are We Going To Have A Three-Child Policy In The Philippines? Duterte is considering this option to resolve the country's overpopulation problem. 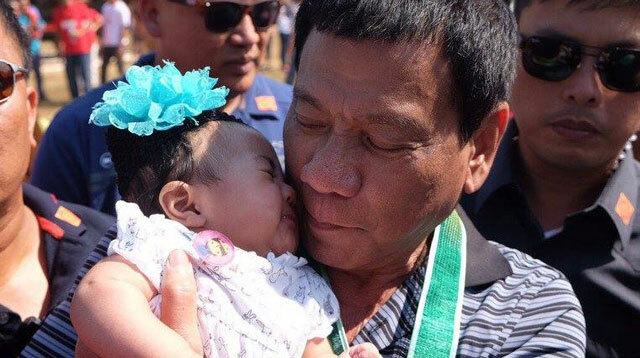 Incoming president Rodrigo Duterte is pondering on whether to impose a policy that will limit the number of children a family can have to three. The tough-talking mayor who fathered four children with different partners also dared Catholic bishops to a debate regarding the proposed policy, since they will surely oppose it. Last week, he called out bishops and other Church officials for their supposed hypocrisy, adding that he believes in God but not religion. Aside from this, Duterte has expressed his willingness to work with the House of Representatives to have his policies immediately enacted into law. He also said he will adopt outgoing President Benigno Aquino III’s economic policies while getting the best Cabinet members to maintain the country’s stellar economic performance. Duterte intends to keep his campaign promise of curbing crime within three to six months of assuming the presidency through his policies.